Tsunku, the founder and producer of idol pop group Morning Musume, has updated his blog with tremendous news for fans: Kamei Eri, JunJun, and LinLin will be graduating from Morning Musume, and a 9th generation audition will be held to fill their spots. The producer went on to explain the reasons behind their departures.� Kamei Eri has apparently been suffering from a skin condition called atopic dermatitis ever since she joined the idol industry.� It is a type of eczema that causes discoloration of the skin, which she usually hides with large amount of makeup when she goes on stage, and she takes medication because of it.� However, it is hard for her to fully recover from the condition due to the makeup, copious costume changes, and sweating from exercise and performances.� Tsunku states that the condition could possibly move to an internal level, and even more so, has begun to affect Kamei on a mental level.� She has therefore decided to leave Morning Musume to get her condition properly treated.� It is unsure whether Kamei will rejoin the entertainment industry after her treatment. 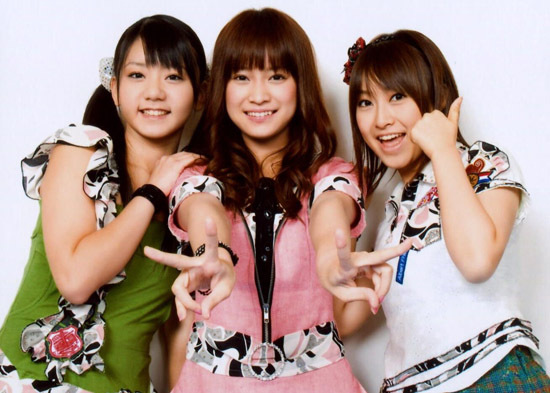 The two Chinese members of Morning Musume, JunJun and LinLin, are leaving for different reasons.� Tsunku stated that they have grown as both singers and Japanese speakers, and are now women who are capable of standing on their own two feet.� They will be graduating and returning to China to continue their entertainment careers there. All three graduations will take place at the same time, during the final show of the Hello!Project 2010 fall tour. While announcing the graduations of three of the members of Morning Musume, Tsunku also announced an audition for the 9th generation of the group.� On his blog, he stated that he is looking for a girl that is between 10-17 years old, is healthy, wants to be number one in the entertainment world, and loves Morning Musume.� Although he seems to imply that he is only looking for one new member, Tsunku has been known in the past to change the number of accepted members on a whim. It looks like fans will be seeing a drastically different Morning Musume by the end of the year.� This is the first time an audition has been held for the group since 2006, when Aika Mitsui was added.� The group has been relatively stable for the past several years, and this is definitely the biggest shakeup of members in a long time.